Europa One will be the first spacecraft to carry Men and Women deeper into space than ever before. Their mission is to board one of 63 of Jupiter’s known moon’s, Europa, one of the closest habitable places in our Solar System. 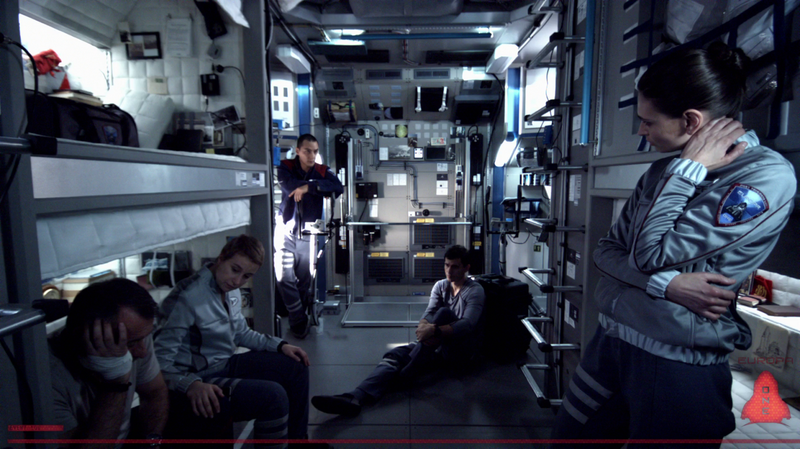 The crew set out for a long journey to their destination leaving them alone in space after communication breaks down with earth. They have to conquer the danger’s of space but also their mental well being. Europa Report adopts the found footage style of film making, and with editing it literally feels like a documentary/news report. Since the premise sets up a groundbreaking time for mankind and space travel, camera’s are set up within the spaceship so that earth can follow the crew’s every move. This gives the films style a rational reasoning. For its low budget I think this was a pretty smart move because it made little weaknesses in special effects forgiving and added some form of realism to the film. Overall we’re given an even better insight to life in space, if not thrilling it is definitely interesting. What I found is that this film really focuses on it’s science more than cheap thrills or cliched disasters. Europa is actually the closest habitable place in our solar system and could possibly hold some form of life, we have no idea and in that respect it is quite thought provoking. I’m not much of a space nerd but it does provoke questions about space and life that I rarely think about. If your truly into Sci-Fi and enjoy the Sci more than the Fi then Europa Report may be up your ally. To me it’s what diminished the enjoyment of the film, I quite like thrills and good special effects when it comes to Sci-FI and this didn’t offer much. There was definitely a sense of suspense when intended but I’d like to see more out of a film set in a place that’s actually reachable. All the science stuff kinda went in one ear and out of the other because you expect it to be nonsense. It was nice seeing some familiar faces in the cast. Sharlto Copley probably the bigger of the few, known for his work in Sci-Fi. Of course he plays more of a tame character in a realistic setting this time as opposed to his over the top badass’s. If your a fan of Dexter, it will be quite a reminiscent moment seeing Christian Camargo again AKA Rudy; luckily over his serial killer ways. The rest of the cast includes Michael Nyqvist (Mission: Impossible Ghost Protocol), Daniel Wu (The Man With The Iron Fists), Anamaria Marinca (Five Minutes of Heaven) and the lovely Karolina Wydra in her first major film role. In honesty there are no major performances, what the film lacked was chemistry between the group. The only character that seemed to be connecting with other characters was Sharlto Copley. Other than that they were solid. This entry was posted in Roze-Reviews and tagged Anamaria Marinca, B-Movie, Christian Camargo, Critic, Dexter, Dexter Rudy, Documentary, Europa Film, Europa Moon, Europa One, Europa Report, Fiction, Film, Film 2013, Film Rating, Film Review, Found Footage, Karolina Wydra, Low Budget, Low-Budget Film, Michael Niqvist, Movie, Movie Review, Rant, Rating, Review, Rozeminho, Rozeminho Screen Fix, Sci-Fi, Sci-Fi Thriller, Science Fiction, Sharlto Copley, Space, Space Film, Space Movie by rozeminho. Bookmark the permalink.